This entry is sponsored by Las Americas Premium Outlets. All opinions are my own. Las Americas Premium Outlets is one of the most popular shopping centers in California. It is located on the San Diego/Tijuana border and it caters to local and international visitors. In case you don't know, outlet centers are known to have the best deals on well-known brands. This particular Outlet Center is one of my favorites because, besides being relatively close to me, it has a very good selection of stores. During Thanksgiving and Black Friday, Las Americas Premium Outlets will be open! On Thursday, November 23 they will be opened from 3:00 PM to 11:59 PM and on Black Friday from 12:00 AM to 10:00 PM. On my last visit to the Las Americas Outlet Centers I was able to speak with a representative who told me that they are ready for Black Friday. She told me that although Outlet Stores have very good offers throughout the year, several stores offer even higher discounts on Black Friday and they also have a larger inventory. So girls and boys, if you're looking for the best place for Black Friday shopping, visit Las Americas Premium Outlets . Plan your visit: print a map and create a shopping plan before heading to the shopping center. This will save you time and you will not be wandering from one side of the center to the other looking for a store. Keep in mind that there will be traffic; however, Las Americas Premium Outlets will be offering Valet Parking service to, in some way, make your visit more comfortable. This service is not complimentary. Going shopping does not have to be a bad experience, just prepare yourself mentally to confront the traffic and the crowds. If you want to save even more money on your purchases, I recommend joining the VIP Club because by joining you can get a booklet with coupons to get ADDITIONAL discounts at some stores. You can even access the coupons from your phone, which makes shopping much easier. Join by clicking here! Finally, do not stress! If for some reason you do not find the perfect gift for someone on your list, you can go to the Customer Service office where you will find a wide selection of gift cards! Las Americas Premium Outlets is a family friendly place. It has something for everyone. 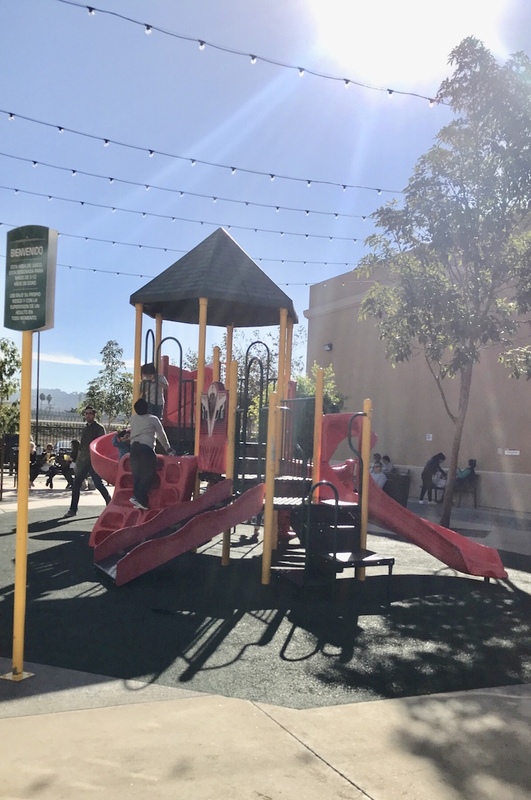 If you have small children, the Kids Play Zone area is the perfect place to take a break from shopping. Also, don't forget to take your children to see Santa Claus! He will be located next to the Old Navy store! 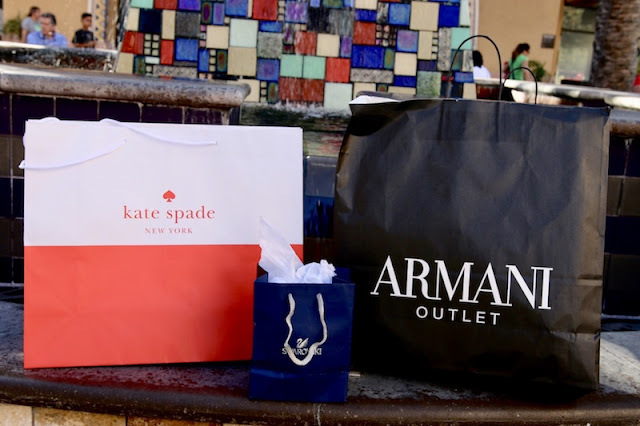 One of the things that I like the most about Las Americas Premium Outlets is that they have many sitting areas, several coffee shops, Mexican snack stores, and sit-down restaurants where you can go before or after shopping. This shopping center has more than 125 stores. Find the list of all your stores by clicking here ! On this visit I was very surprised by the offers I found at Kate Spade. I wanted to buy everything since most things had a 60% off, plus an additional 20% discount! In the end, I wasn't able to resist and I bought something for myself! I saw several people purchasing 5-6 bags each! Another store that I love visiting when I come to this Center is The Cosmetic Company Store. 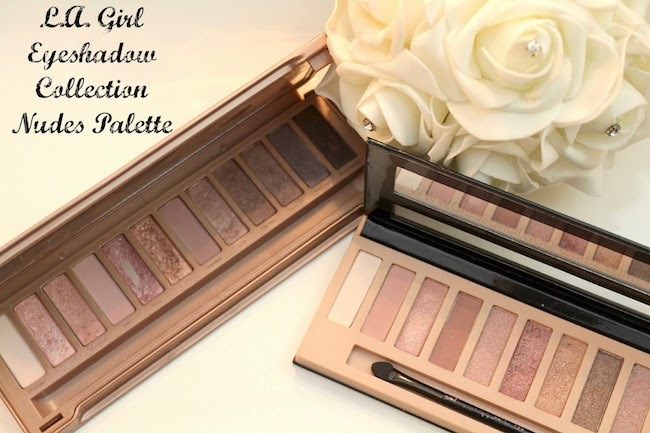 I often go to this store to purchase my favorite makeup at a much lower price than department stores. On this occasion they had a 40% additional discount on almost the entire store! Other stores that I visited that had great deals where: Kipling, The Disney Store, The North Face, Michael Kors, Swarovski, Bath & Body Works and other makeup and perfume stores. At the end of this post you will find the Snapchats that I uploaded from my visit! They are in Spanish, so If you understand Spanish, feel free to watch my experience at Las Americas Premium Outlets. By the way, if you have small children, The Disney Store is one of the places you must visit. When I went, they had 50% off everything! Now that Christmas is coming, take advantage of the sale to get your kids favorite toys! With more than 125 stores with incredible offers, Las Americas Premium Outlets is your one-stop shopping center this Black Friday. You can find perfumes, clothes, video games, sunglasses, jewelry, shoes, toys, and anything you need to give that special gift, or to pamper yourself!